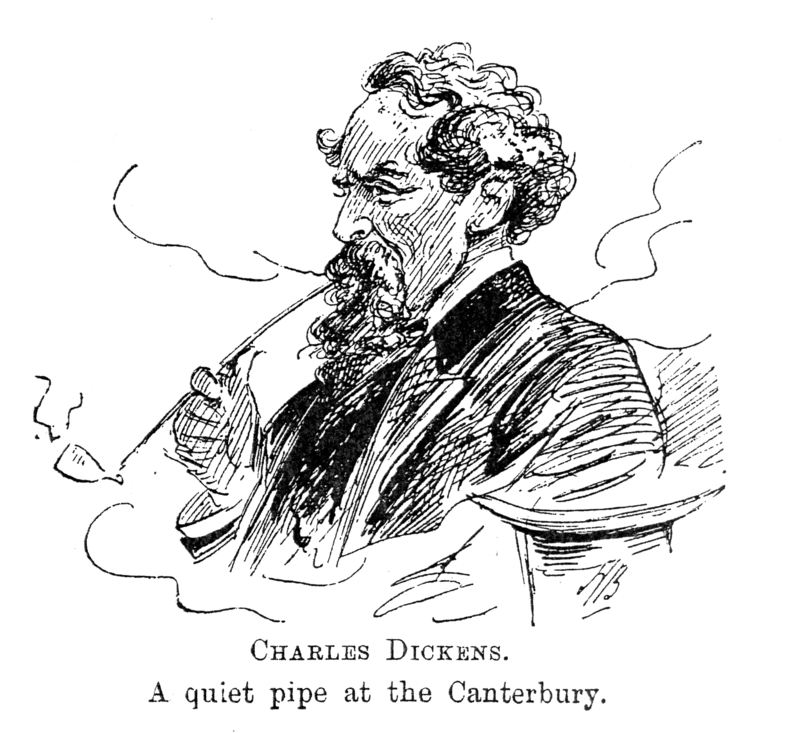 Happy 200th birthday, Charles Dickens (so much nicer to celebrate a birthday than a deathday). Dickens was nothing if not a prolific writer. Author of A Christmas Carol, Great Expectations, the Pickwick Papers…even if you haven’t read much of his work, you will have heard of some of it. And while many artists struggle for recognition in their lifetimes, he was wildly successful while alive – since then his books have never been out of print. Most of his work was published serially, in instalments – rather like a soap opera today. Rather than write them all up in one go, he’d write to the same pace as the publishing, giving his stories a real rhythm, complete with cliff hangers. He’d have been perfectly happy writing today, I reckon. His early life sounds like something out of one of his books – indeed characters from it found their way in. He was the second of eight children. His father lived beyond his means and ended up in debtors prison with the rest of the family while young Charles, aged 12, was sent to a family friend. Then he was moved to the back attic of a court-insolvency clerk (a fat, good-natured old man). To pay his way and help his family, he had to leave school and work 10 hours a day in a blacking warehouse, pasting labels on shoe polish. Unsurprisingly, this treatment etched itself on his memory. Not just in characters for his books (one of the other boys there was called Bob Fagin, which he used in Oliver Twist), but in his thoughts on labour conditions and the economy – and the unreasonable work-load that was foisted on the poor and dispossessed. An unexpected inheritance got his family out of prison, but his mother didn’t take him straight out of the workhouse. Unsurprisingly, he never really forgave her. Eventually though young Charles worked his way to a job at a law firm, learnt short hand and then became a freelance reporter…the rest writes itself. To give you an idea of his popularity – on a trip to America, a “Boz Ball” (his early nom de plume was Boz) was held in his honour, 3,000 people came. He called in on the President. When he got back, Angela Coutts, heir to the Coutts Bank fortune, approached him to help set up a house for fallen women in Shepherds Bush, Great Ormond Street asked him to help with funding…he was a great philanthropist. ‘Tis love that makes the world go round, my baby. Reflect on your present blessings, of which every man has many; not on your past misfortunes, of which all men have some. Subdue your appetites, my dears, and you’ve conquered human nature. Any man may be in good spirits and good temper when he’s well dressed. There ain’t much credit in that. A boy’s story is the best that is ever told. Nature gives to every time and season some beauties of its own; and from morning to night, as from the cradle to the grave, it is but a succession of changes so gentle and easy that we can scarcely mark their progress. A person who can’t pay gets another person who can’t pay to guarantee that he can pay. Like a person with two wooden legs getting another person with two wooden legs to guarantee that he has got two natural legs. It don’t make either of them able to do a walking-match. May not the complaint, that common people are above their station, often take its rise in the fact of uncommon people being below theirs? Cows are my passion. What I have ever sighed for has been to retreat to a Swiss farm, and live entirely surrounded by cows – and china. Oh the nerves, the nerves; the mysteries of this machine called man! Oh the little that unhinges it, poor creatures that we are! It opens the lungs, washes the countenance, exercises the eyes, and softens down the temper; so cry away. It’s my old girl that advises. She has the head. But I never own to it before her. Discipline must be maintained. There are only two styles of portrait painting; the serious and the smirk. In the little world in which children have their existence, whosoever brings them up, there is nothing so finely perceived and so finely felt, as injustice. That sort of half sigh, which, accompanied by two or three slight nods of the head, is pity’s small change in general society. Send forth the child and childish man together, and blush for the pride that libels our own old happy state, and gives its title to an ugly and distorted image. We are so very ‘umble. Whatever I have tried to do in life, I have tried with all my heart to do it well; whatever I have devoted myself to, I have devoted myself completely; in great aims and in small I have always thoroughly been in earnest. I have known a vast quantity of nonsense talked about bad men not looking you in the face. Don’t trust that conventional idea. Dishonesty will stare honesty out of countenance any day in the week, if there is anything to be got by it. You don’t carry in your countenance a letter of recommendation. Credit is a system whereby a person who can not pay gets another person who can not pay to guarantee that he can pay. Do you spell it with a “V” or a “W”?’ inquired the judge. ‘That depends upon the taste and fancy of the speller, my Lord’. If you enjoy The Guy Quote, find more in the series by clicking here or on the tag to the right. 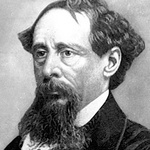 This entry was posted in Uncategorized and tagged author of a christmas carol, bicentennial, biography, birthday charles, charles dickens, cliff hangers, debtors prison, history, labour conditions, life, pickwick papers, quotes, the guy quote. Bookmark the permalink.